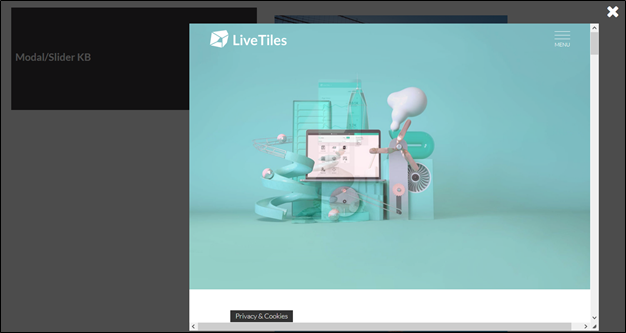 Some tiles within LiveTiles are designed to be responsive to user interaction. Many tiles display content by retrieving the data from different sources such as SharePoint and other Office 365 apps and 3rd party resources. ex. Salesforce, Facebook, Google etc. Modal Windows and Sliders are two styles to open source information without having to leave the page. A modal dialog is a smaller window that opens within a page so that the user can interact without leaving the parent application. 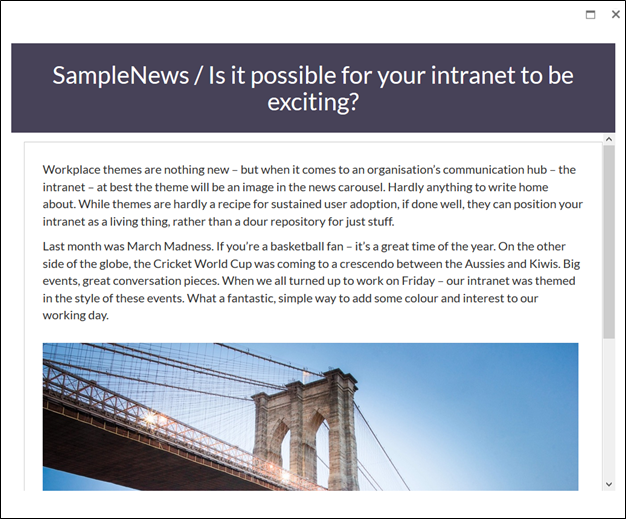 A great example of this use case would be our New News Tile. 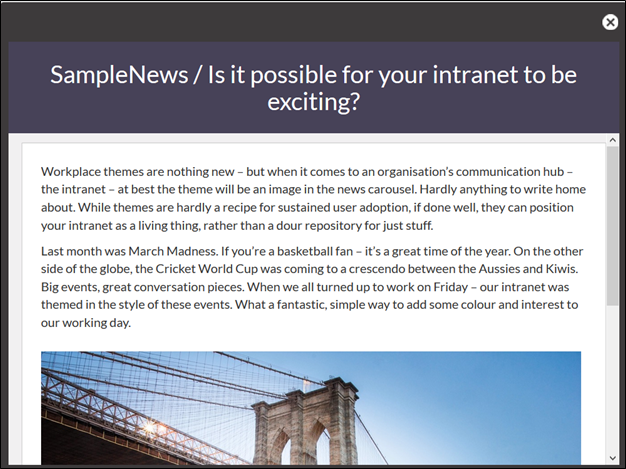 The New News Tile displays a preview of content in either as a list or a carousel. 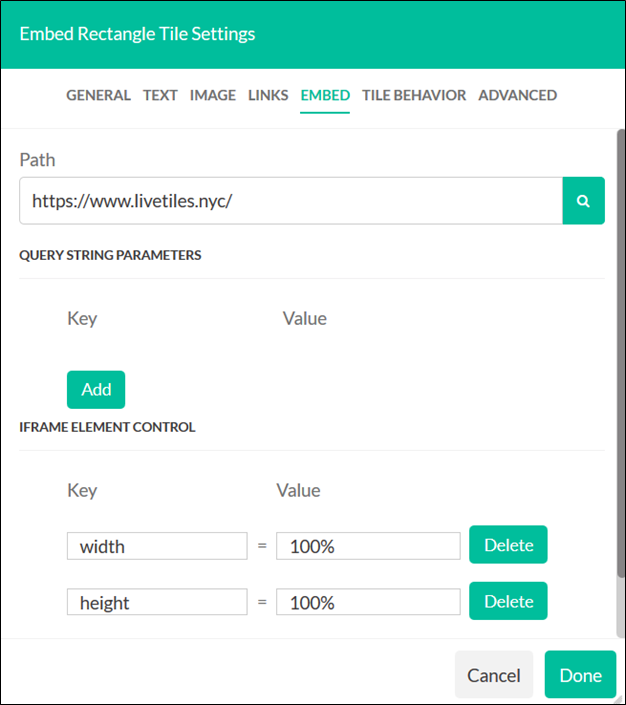 When an item in the tile is clicked, a Modal Dialog window or Slide out appears and displays the full content, as seen above. 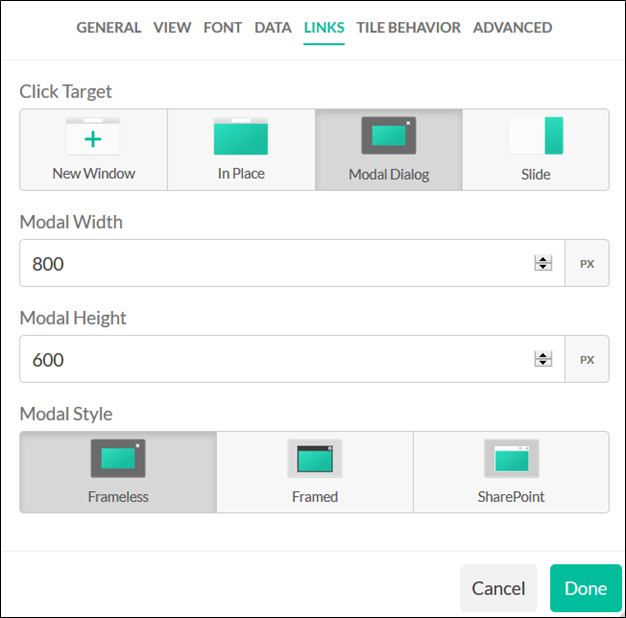 In most cases, tiles that contain the Modal Windows and Sliders feature would have their options within the Links Tab. 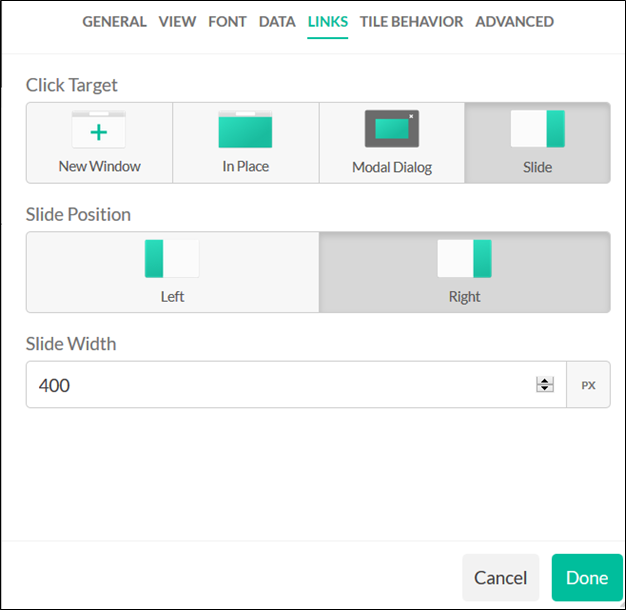 It is within this tab that users can configure the style and behavior of their Modal Dialog Window or Slider. Within the Links Tab, you will see options to configure features of the Modal Windows and Sliders. Best Practice Tip- increase the width of the slide window for larger/lengthier content for easier readability. 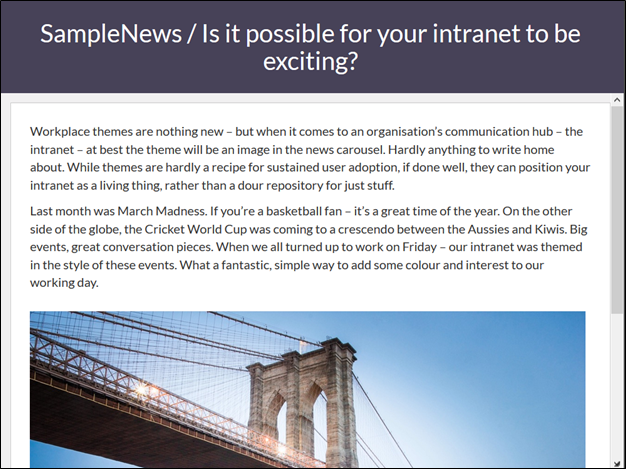 To use a modal window or a slider, for an external site, you will need to include https:// in front of the site link. In addition you will need to make sure that the site link, is able to be put into an iframe. As modal windows and sliders both use iframes, if a page does not have this option, it will not work.